Day 01 -Arrive Lucknow -Nepalgunj (188 Kms / approx. 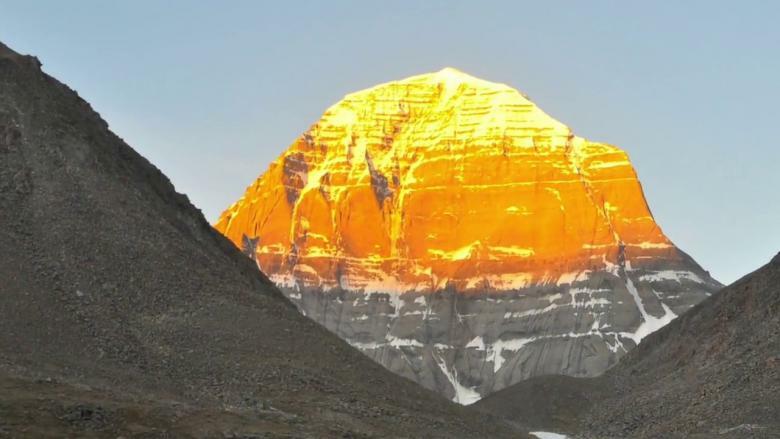 5 hours drive) Welcome to your 'Kailash Manasarovar Yatra by Helicopter -Ex - Lucknow' tour! On arrival at the airport/railway station in Lucknow, you will be met and transferred to your hotel in Nepalgunj. Reporting at Lucknow should be on or before 13:00 hours The rest of the day for leisure. Overnight in Nepalgunj. Day 02 - Nepalgunj. �Simikot This morning , drive to the airport to board your flight to Simikot (3000 mts). Flight 45 mins. On arrival at Simikot, proceed to the hotel. Later, visit Shiva Mandir and get acclimatized to high altitude. The rest of the day is at leisure for leisure activities. ] Overnight in Simikot. Day 03 - Simikot - Hilsa by helicopter - Purang This morning, check out and drive to the airport to board your helicopter from Simikot for a 30 minute flight to Hilsa. Arrive Hilsa (3700 mts) and drive for 1 hour to reach Purang (3700 mts). After reaching Purang Immigration and visa formalities. The rest of the day is at leisure for acclimatization. Overnight in Purang. Day 04 - Purang - Manasarovar Drive to Manasarovar (4500 mts / approx. 3 hours drive) to get your first view of the holy Mt. Kailash and Manasarovar . En route parikrama of Manasarovar Lake (105 km). Perform the Puja and take a holy Dip at Manasarovar lake. Post parikrama, get transferred to the guest house in Manasarovar. The rest of the day is at leisure for independent activities. Overnight in the Manasarovar. Day 05 Manasarovar - Darchen The morning is at leisure for independent activities. Post lunch, drive to Darchen and check in to the hotel (45 mins). The rest of the day is at leisure. Overnight in Darchen. Day 06 - Darchen - Yam Dwar � Trek to Diraphuk (4750 mts) Drive to Yam Dwar (45 minutes drive). Trek to Diraphuk (4750m / walk 7-8 hours). The rest of the day is at leisure. Overnight in Diraphuk. Day 07 - Diraphuk - Zuthulphuk Today's trek is amongst the most difficult day of the yatra including a steep climb up to Dolma La Pass (5650 mts), the highest altitude of your parikrama. (Trek 3 - 4 hours). Stay here for offering prayers and to relax. Later, descend to your guesthouse in Zuthulphuk (20 - 22 km / 10 - 11 hours trek). The rest of the day is at leisure. Overnight in Zuthulphuk. Day 08 - Zuthulphuk - Hilsa This morning, after a short trek to Tungla (3 hours), drive to Purang and onward to Hilsa (4 hours). The rest of the day is at leisure. Overnight in Hilsa. Day 09 - Fly to Nepalgunj via Simikot Early morning, drive to the airport in Hilsa for your flight to Simikot. On arrival in Simikot airport, board your flight to Nepalgunj. On arrival at the airport in Nepalgunj, get transferred to the hotel. The rest of the day is at leisure. Overnight in Nepalgunj. Day 10 - Depart Nepalgunj Today, bid farewell to your 'Kailash Manasarovar Yatra by Helicopter - Ex - Lucknow' tour, as you get transferred to the airport / railway station in Lucknow for your onward journey. Note - We Suggeste booking the return flight to your destination post 18.00 hours. Jammu and Kashmir is a state in northern India. It is located mostly in the Himalayan mountains, and shares a border with the states of Himachal Pradesh and Punjab to the south.